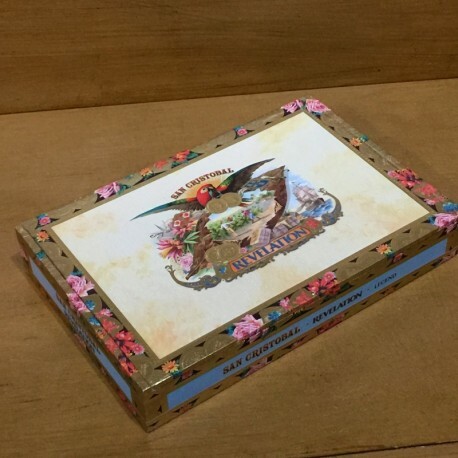 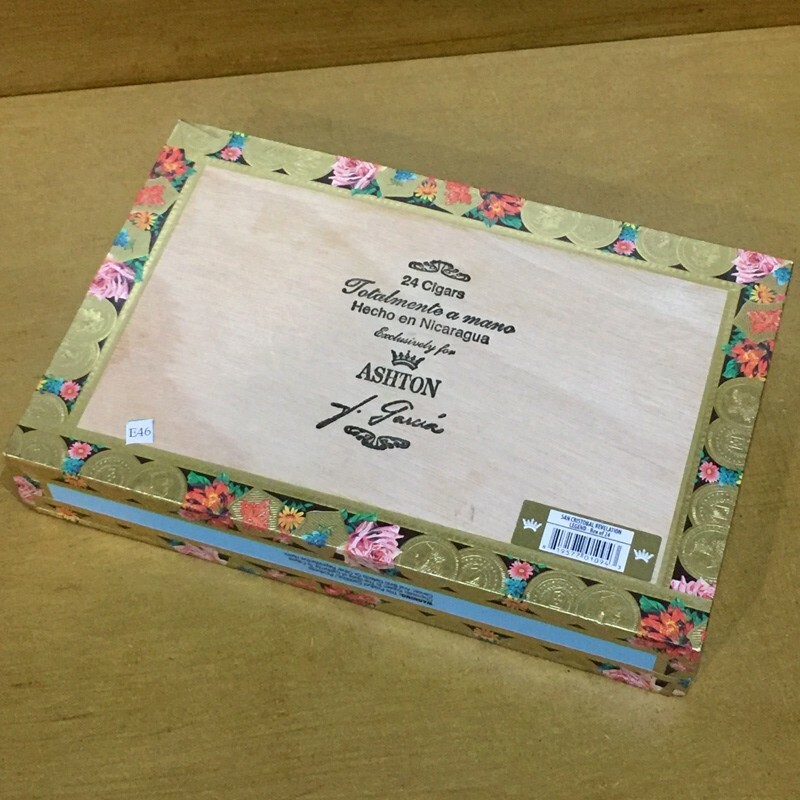 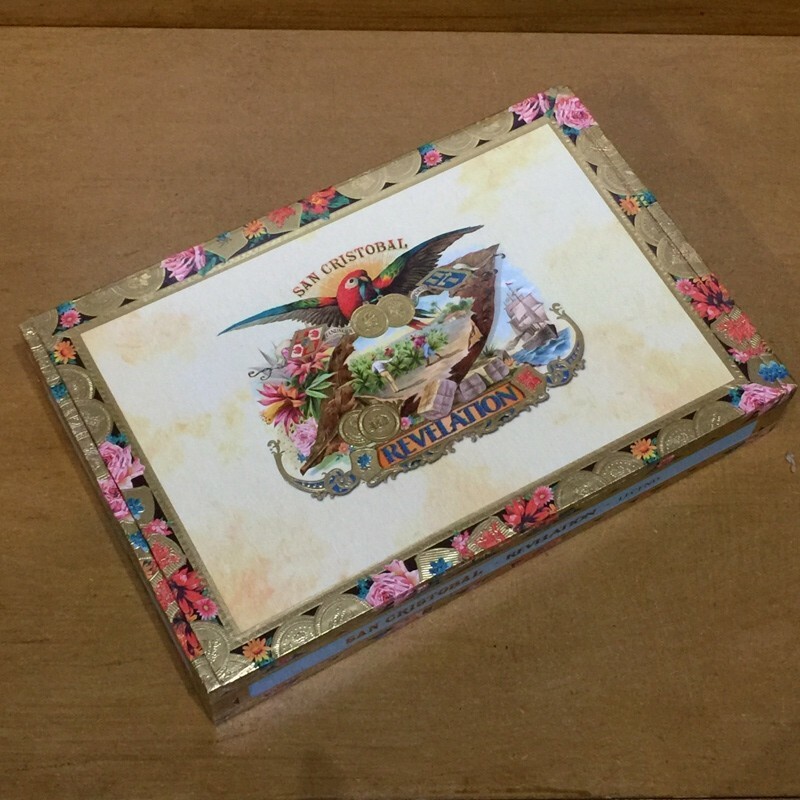 San Cristobal Revelation is a very nice cigar box in great condition ! 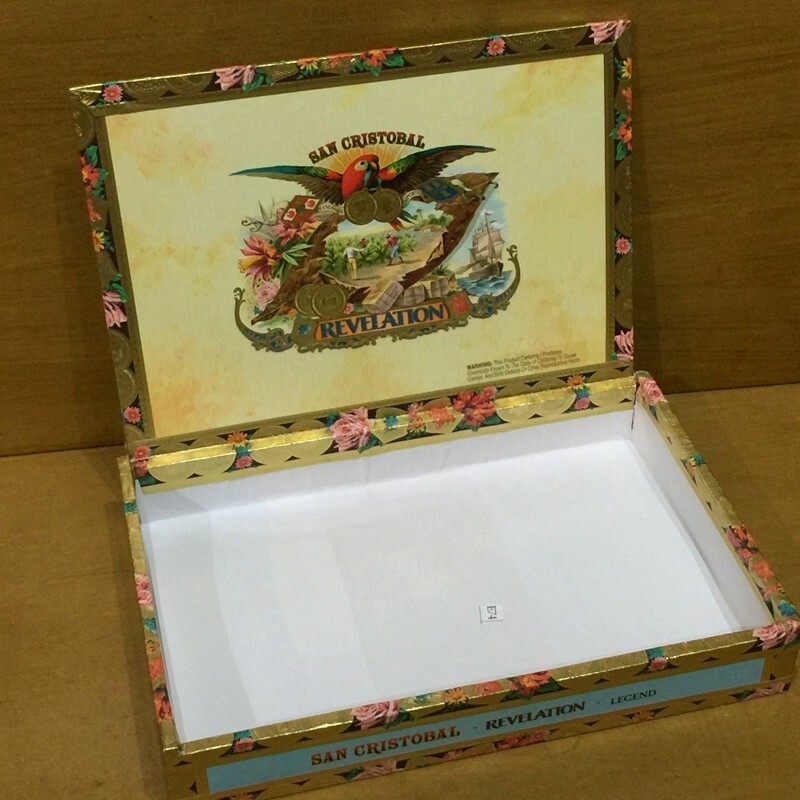 Beautiful Parrot logo on a marbled gold background. Gold coins and floral trim.